For a marriage to end legally in Arizona, certain paperwork will have to be filed. Both of the spouses will need to sign the documents and submit them to court. Often, one of the partners will refuse completing the paperwork. If you’ve found yourself in such a situation, you’re probably wondering about the options. Arizona is a no-fault divorce state. This means that no party will have to prove the guilt of the other one for the failure of the marriage in order to initiate the process. This fact takes away many of the reasons why the other party may refuse signing the documents. 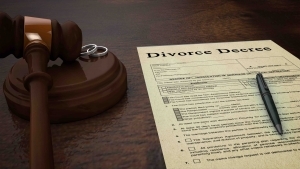 In fault divorces, the filing spouse may be awarded a larger portion of the marital property or they may experience other benefits if they can prove that an ex has brought about the end of the partnership. Still, even in places that have a no-fault system, it may be possible for a spouse to refuse signing the documents. This is a stalling technique. They may need more time to get things together, to consult a legal professional or they may simply delay the process to annoy you. Delays in the divorce process can lead to frustration and anxiety. If the marriage didn’t end amicably, a former spouse could pursue choices that will make you feel anything but comfortable. When a person decides to get a divorce in Arizona, their spouse will have to be served properly. This means that the respondent will have to be provided with several documents by a registered process server. Postal and commercial delivery service could also be used. After the service of the petition, the respondent has 20 days to file their response. If the respondent lives outside of Arizona, the waiting period is 30 days. Whenever a response isn’t received, you will have the right to request entering a default. Not only is this possible when your ex fails signing the paperwork, you can also set a default hearing whenever they cannot be served with divorce documents at all. You will have to complete the Application and Affidavit of Default and file with the clerk of the respective court. The waiting period after that is 10 days. If your former partner doesn’t respond within the respective timeframe, the court will set a hearing date and you will be asked to appear. Based on the information presented in your divorce petition, a judge may eventually deliver a ruling. In the best case scenario, divorce orders will be issued by judgment in a default hearing. The court will assume that by failing to respond to your petition or appear in court, your ex-spouse is giving up their right to have a say in the outcome of the marriage dissolution. Click here to find out information on dissolution of marriage with divorce in Arizona. Considering mediation before moving forward with the divorce proceedings is a good idea that may simplify proceedings. An independent third party known as mediator can consult both individuals and address issues of concern. On occasions, people refuse signing divorce papers because they believe getting a divorce is unfair or not in their best interest. Mediation makes it possible to talk things to and identify the terms and conditions both parties are comfortable with. Upon the end of the mediation process, it will become much easier to finalize the divorce without further delays. 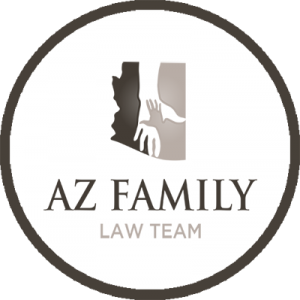 If you are dealing with an uncooperative spouse, you will need to get in touch with an Arizona divorce attorney instead of attempting to handle things on your own. A legal professional will make things simpler for you and they will help you get a divorce in the shortest possible timeframe.